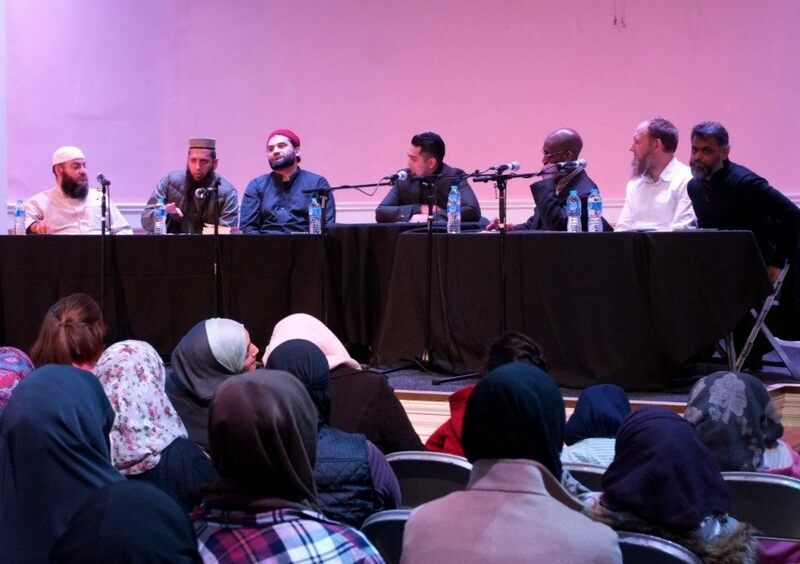 BEDFORD, United Kingdom – As the distressing attacks in Paris were occurring last night, some of Britain’s most high profile and notorious Islamist extremists gathered just north of London, unimpeded, to tell hundreds of British Muslims to “struggle” for an “Islamic State.” Breitbart London was there. 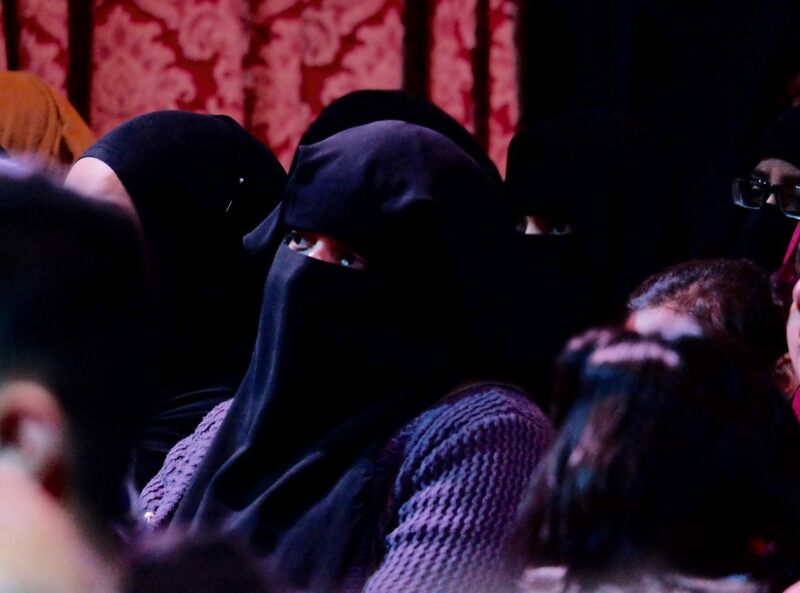 At the “Quiz a Muslim” event held last night in the Corn Exchange in Bedford, panelists called British values “junk”, demanded that Muslims should “define” British law, and ominously, appeared to suggest Muslims were at war with the British. 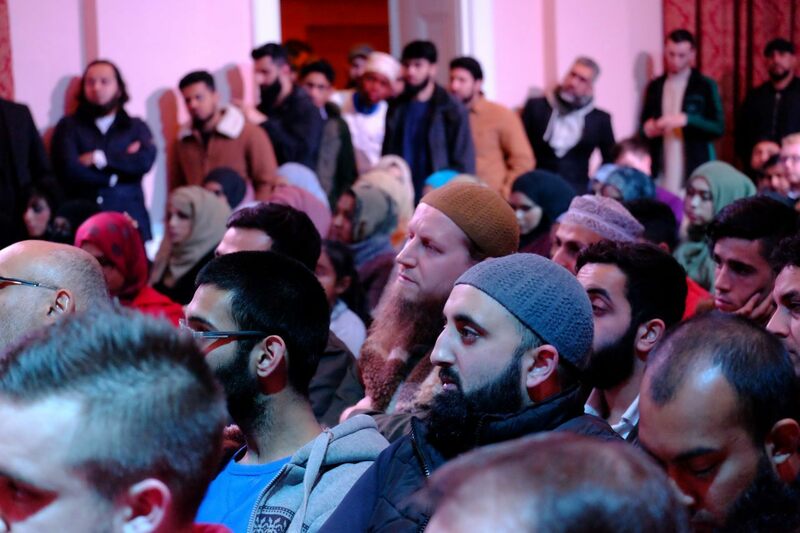 The event was organised and chaired by Bedford-born blogger Dilly Hussain; an avid Islamist and a supporter of a global Islamic caliphate. 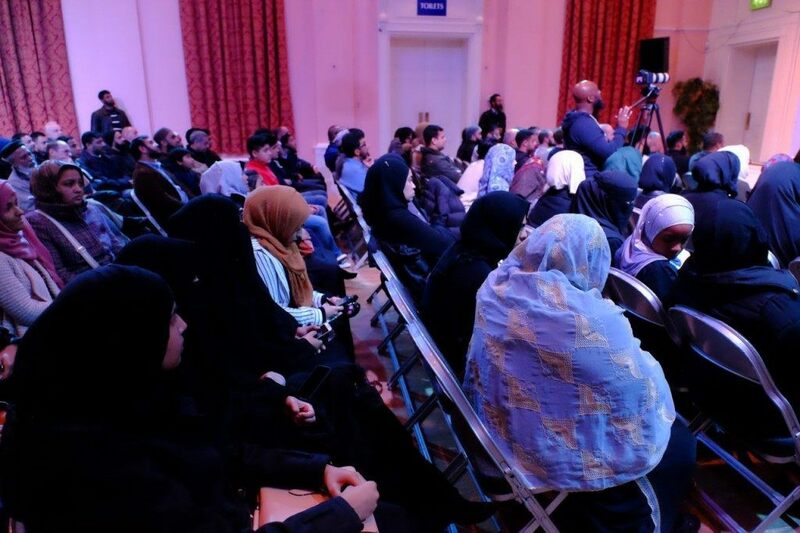 Mr Hussain described the event as “sort of like an Islamic Question time” – except during Question Time, there are usually disagreements. This event saw an all-male panel of “community leaders” talking to a completely segregated room, with little to disagree on. 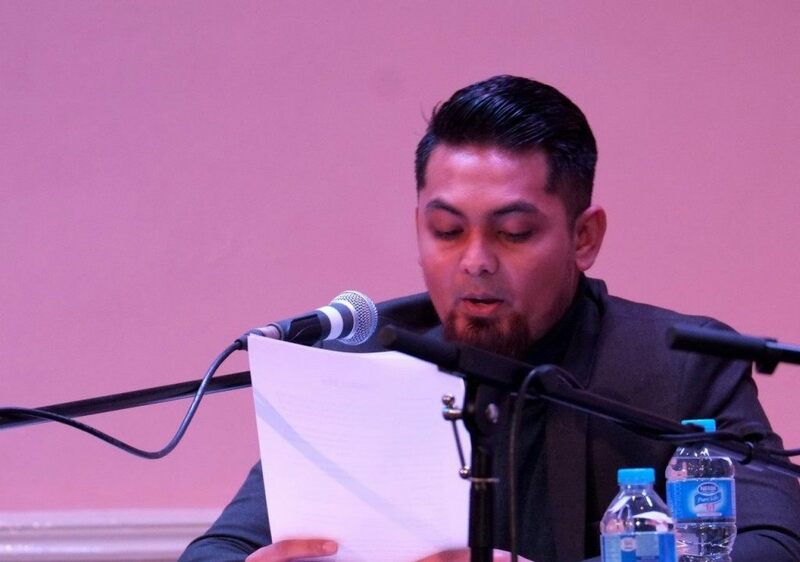 One panellist billed to appear – Hamza Tzortzis – did not show. 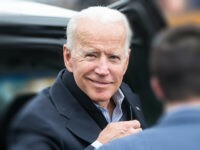 It is not known whether this was related to the recent revelations that showed him appearing on the extra-marital affairs website, Ashley Madison. 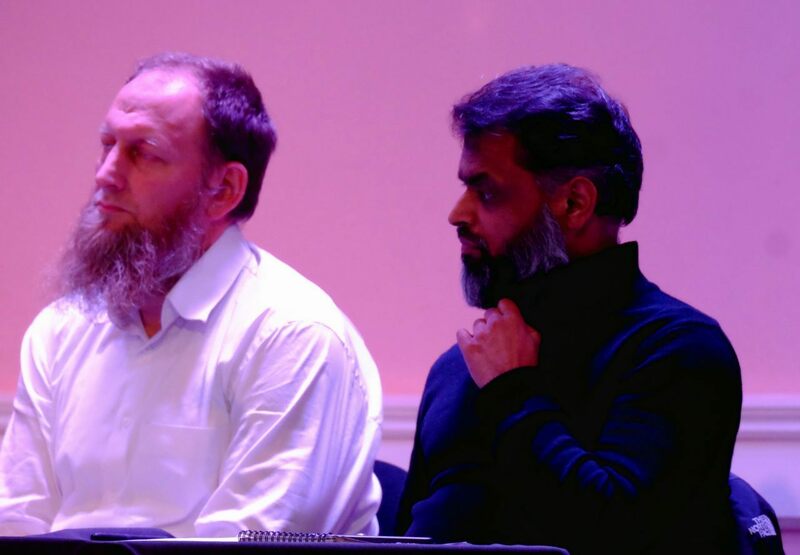 “Television is a form of hypnotism”, said Abdur Raheem Green, chairman of the Islamic Education and Research Academy (iERA) which is known for sending hate preachers to UK campuses. 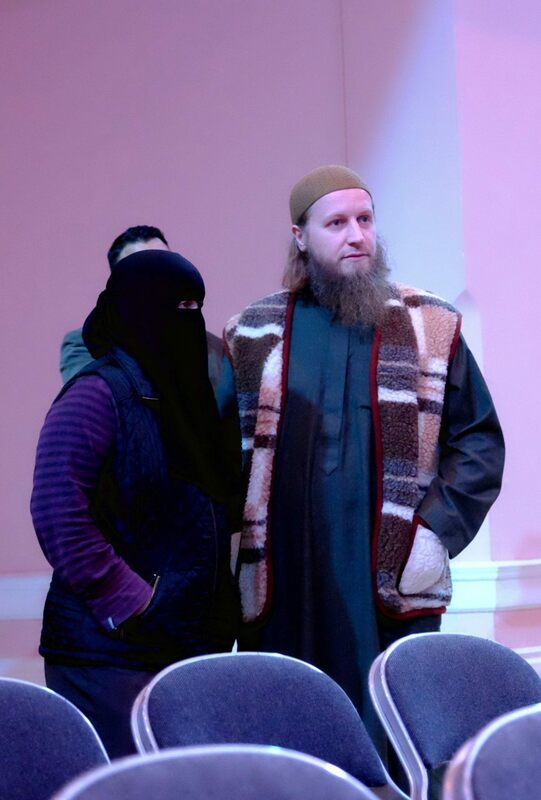 Mr. Green is perhaps best known for his comment: “Islam is not compatible with democracy”, and for stating that a husband may use “physical force… a very light beating” against his wife. 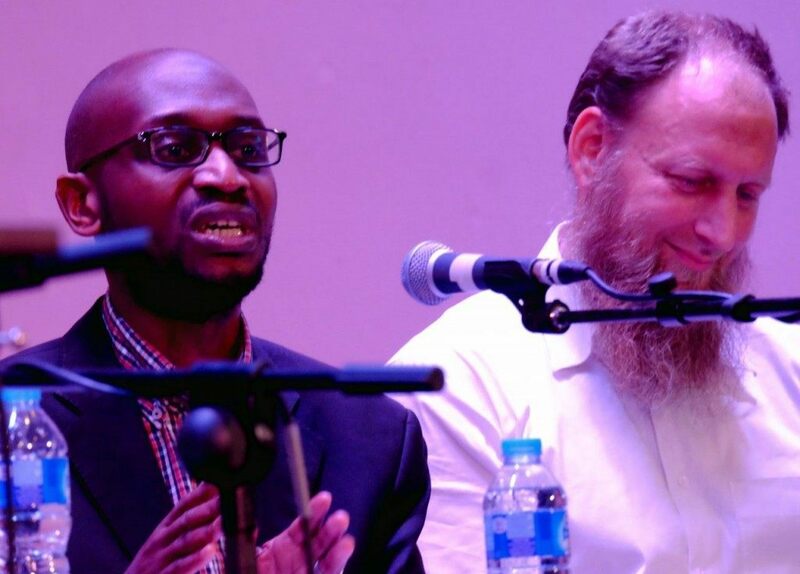 The other panellists agreed; the media was to blame for Islam getting a bad reputation. When Dr. Haitham al-Haddad, who was introduced as a scholar of “Islamic sciences”, asked the room if attendees were British, there was a long pause and an uncomfortable murmuring. 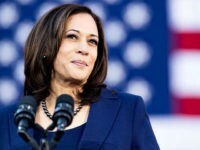 Dr. Haddad has previously made deeply disparaging remarks about Jewish people, and is even claimed to have said that the late Al Qaeda leader Osama bin Laden would go to heaven. Taji Mustafah, a senior member of the global Islamist network Hizb ut Tahrir, which works towards a caliphate, interjected: “This is a loaded question… What does it mean?” he asked. Adding later: “All these things celebrated as English, it doesn’t mean a thing”. He called British values “junk”. “We should not ask if we need to catch up with the British”, responded Dr. Haddad, “We should be partners in defining what British is… in what the law of the land is.” All seemed to agreed that “gods law” should always be “superior” to “man made law”. Mr. Mustafah also took the time to clarify that Islam is a “religion of war and peace, it governs every aspect of life… politics… including what you eat and wear”. 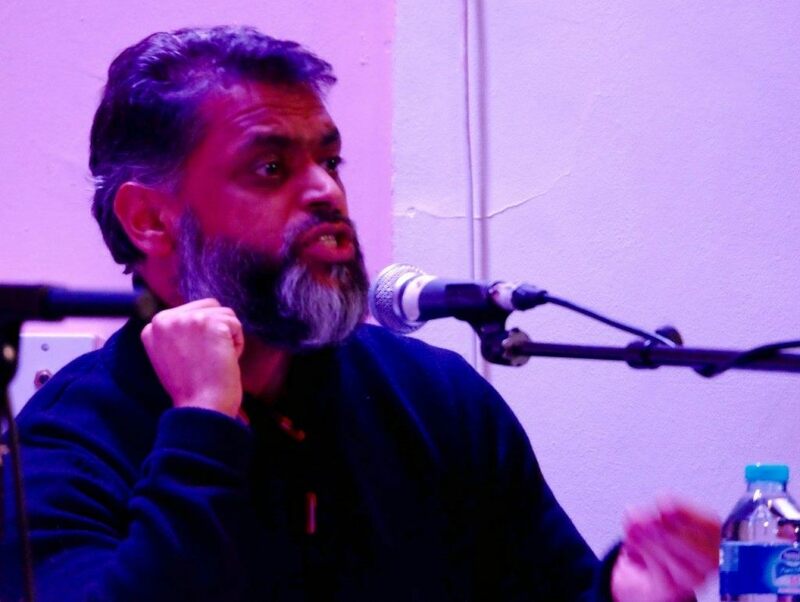 Later, when former Guantanamo Bay detainee Moazzam Begg condemned ISIS because they are “killing Muslims”, a total of five people in the room of 200 could be heard clapping. When he said David Cameron was an “extremist”, almost the entire room applauded for a sustained period. Mr. Begg managed to produced an even more chilling moment however, when He appeared to suggest British Muslim were already at war with the UK in a strange analogy. Therefore, “you can be a ‘British Muslims’,” he said, “It’s fine to call yourself a ‘British Muslim’ right now” he said, as if to suggest that British Muslim were somehow set against Britons as early Muslims were with the Persians. In days before, the event had cause some alarm in the old Saxon town, just 50 miles north of London, with a population of just 80,000. There were rumours it would be cancelled. However, 5Pillarsuk, the organiser’s website, tweeted on Thursday that they “commend” Dave Hodgson, the Liberal Democrat Mayor of Bedford for “allowing” the event to go ahead. 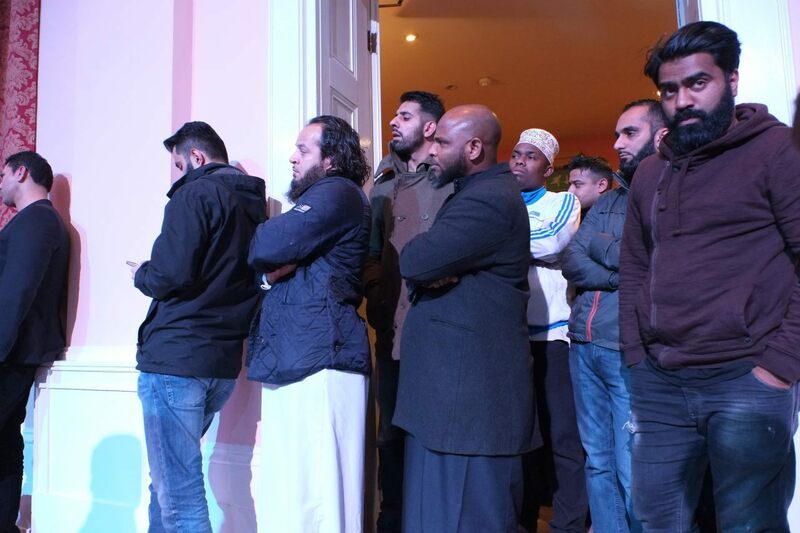 Mr.Hussain said last night that he “hoped more councils” would invite Islamists to town. 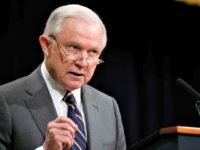 “On the flip side” he said, “none of them have broken any laws and none of them are convicted criminals. 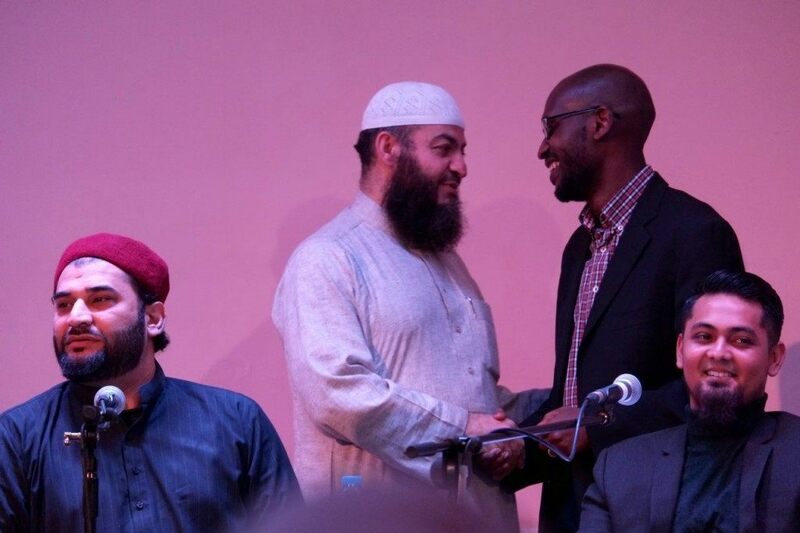 The speakers on stage last night were some of the country’s most notorious hate preachers who have been banned from university campuses and allied themselves with some of the most racist, hateful, and anti-Western rhetoric the country has seen in the last decade. 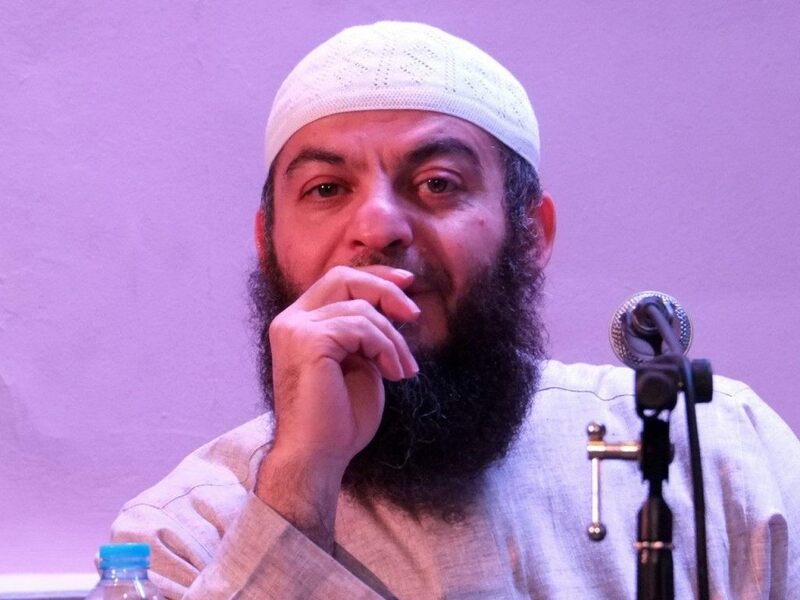 Haitham al-Haddad – Sits on the UK’s Islamic Sharia Council, is known for his radical statements like “Jews are the enemies of God and the descendants of apes and pigs”, and had his speeches at the University of Westminster cancelled after it emerged that Mohamed Emwazi (Jihadi John) attended, and was potentially radicalised there. Haddad has said that Muslims should “be ready to pay the price for this victory from our blood” and has told fellow Muslims “to prepare themselves for jihad, all over the world.” He has said the death sentence for apostasy (leaving Islam) “makes perfect sense”. 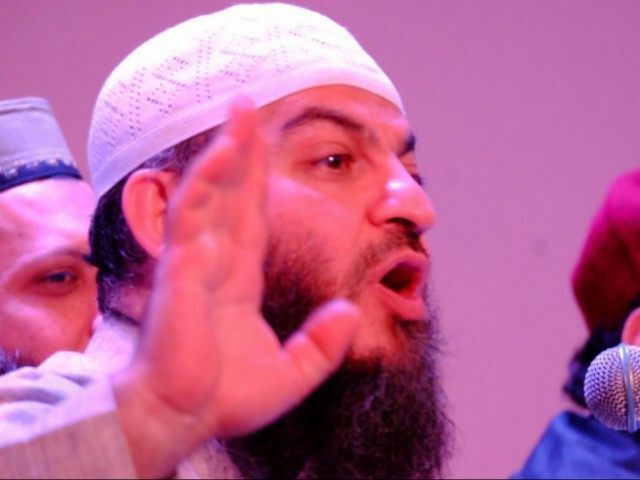 Sulaiman Ghani – Has spoken in support of convicted Al Qaeda terrorists, and even appeared side by side with the Labour Party’s 2016 London Mayor candidate Sadiq Khan during a rally against Guantanamo Bay. 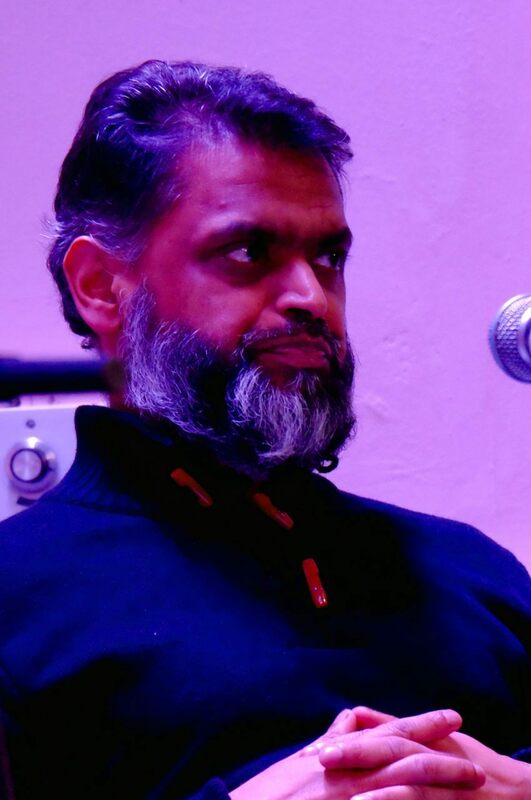 He has said that women should be “subservient” and never be leaders, and was exposed by the Daily Mail as having worked as a “Muslim chaplain” in Britain’s National Health Service, all the while opposing organ donations. 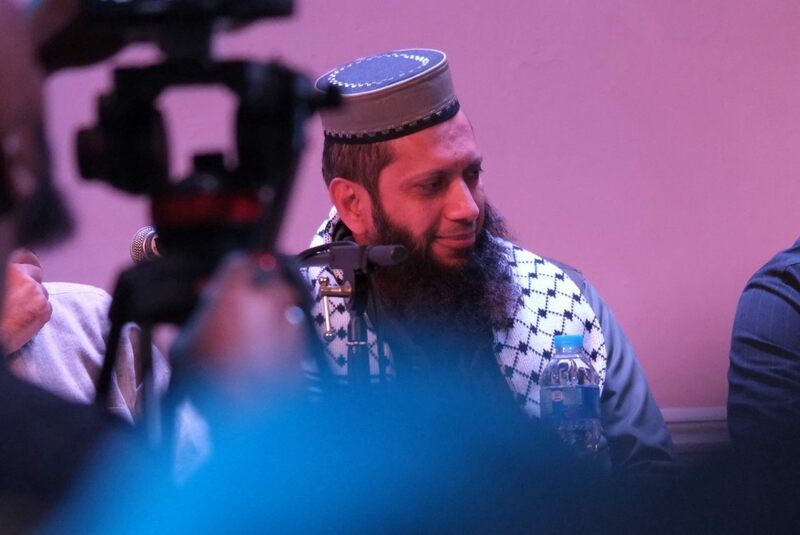 Taji Mustafa – Is a long-standing Hizb ut Tahrir activist. The organisation pushes for a global caliphate, but considers itself non-violent. 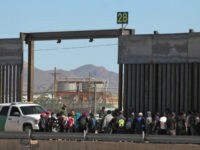 The group’s website has previously hosted anti-Semitic material, and it is believed to be involved with radical university societies around the country which hide behind names such as the “Global Ideas Society” at the University of Westminster, where Jihadi John went to university. 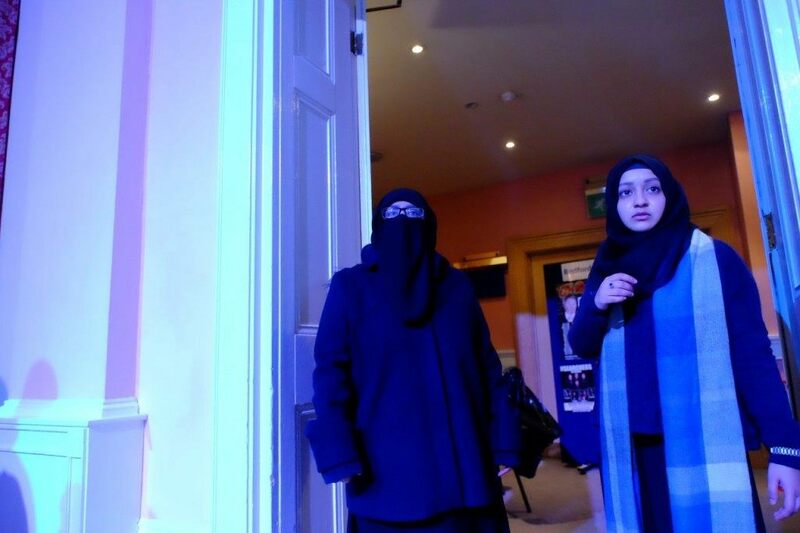 The British government promised in 2010 to ban Hizb ut Tahrir, but it never happened. Moazzam Begg – Perhaps the most famous on the list, Begg served as an inmate in Guantanamo Bay, where he signed a confession stating that he was an Al Qaeda recruiter. 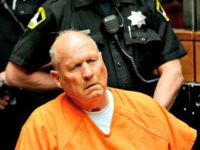 After his release, negotiated by the Blair government in Britain, he returned to the country and retracted such statements, but admitted being at Islamic training camps. His organisation, CAGE, which represents former Guantanamo Bay inmates, has described ISIS beheader Jihadi John as a “beautiful young man”. Begg is currently free in the United Kingdom, though he has been arrested and quizzed a number of times on terror-related offences in the past few years.